This 500 or 600 Calorie Diet is divided up into 6 days that are equal in approximate calories but different and types of food you can eat every day. You can follow this diet plan on Monday, Wednesday, and Friday for 2 weeks. Having a plan for a diet to reduce weight quickly will make your week super easy. Expect to lose about 2 pounds a week, while still going out to lunch with coworkers a few days a week, with no guilt. Who does an Every other Day Diet Plan Work well For? Every other day diet works great if you know yourself, and you find it difficult to diet or be restricted on the types of food you have on a daily basis. This is a very simple menu, with no fancy recipes and easily found ingredients. I encourage you to find a no or low-calorie seasonings to add to the chicken, fish, or meat. My personal favorites are steak seasoning for any type of meat although you can just use salt or pepper. I love to put steak seasoning on my fish and chicken just to mix it up a little bit. Another favorite of mine is rotisserie chicken and lemon pepper dry seasoning shakers, which again, is good for multiple types of meat. As with any weight loss program, you get more benefits is you can fit in some exercise. I don’t know if you’re like me, but I found that it doesn’t matter how much or how often I exercise. If my eating habits are out of whack or out-of-control, I’ll still gain weight even if I worked out three hours that day. This 6-day shopping menu is designed just for every other day diet. You can lose between 2-3 pounds this week, depending on your current weight. Please refer to the calorie chart to see what you might lose. If you can’t find your weight on that chart, please contact me and I’ll make sure and get it added as soon as possible. 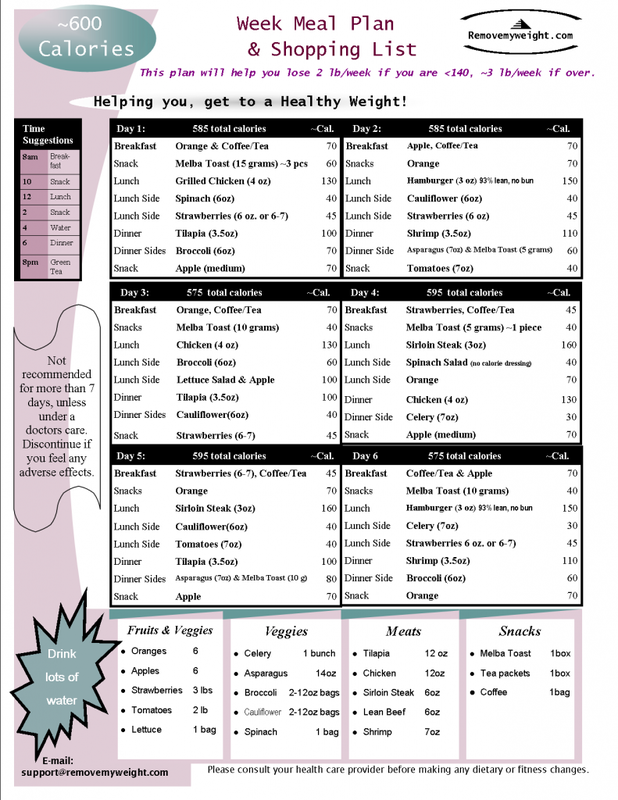 This diet plan is designed for a healthy 1 to 3 pound weight loss each week. It’s designed as a Monday, Wednesday, Friday diet plan or you can follow it every other day for 12 days. 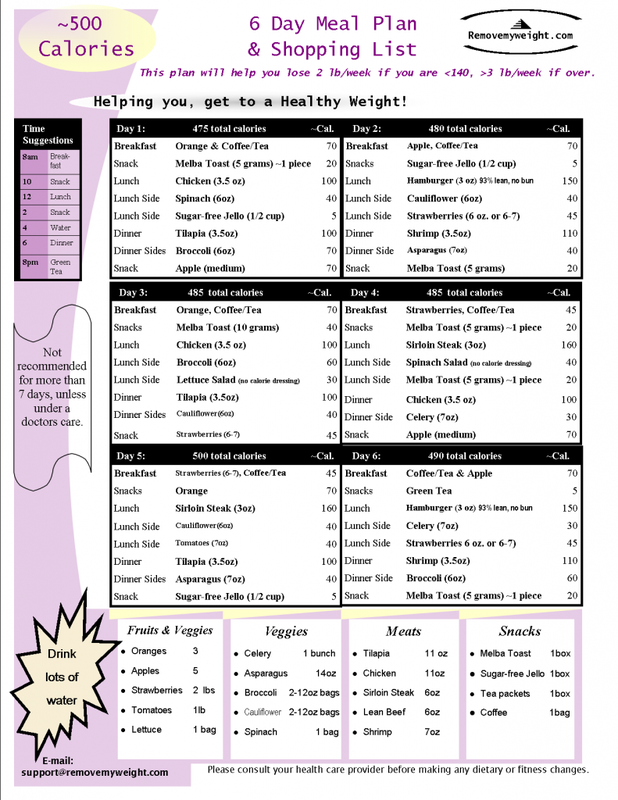 Below you will find the plans, with the first one being the 500 Calorie a day plan. What more Diet Plans to Reduce Weight Quickly? 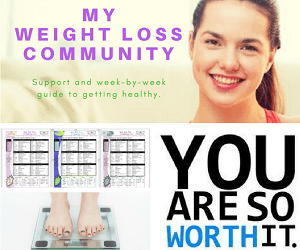 At the time of this writing, I’m still developing more and I hope to be able to put together a package of a full month plan to help you drop pounds this month. If you like this please “pin” it or share it with your friends. As always if you have ideas, I would like more of these type of menu plans maybe with some different ratios or different foods shoot me a note or put a comment and I will hopefully be able to accommodate your suggestion shortly. Also check out my 600 or 500 Calories a Day 7 day Plan, for a full 14 days of this. I’m always looking for new ideas and/or stories so if you’ve lost weight on this plan please comment as I would love to hear your story.